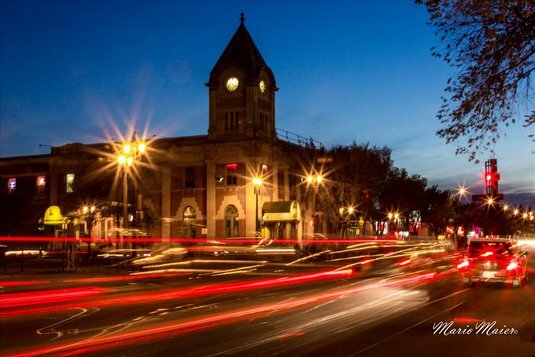 Our goal is to preserve, protect, and promote the historical story of Old Strathcona including the celebration of the heritage of the area and the stewardship of its historical assets for a vibrant community. The community preserving, sharing and believing in the value of Old Strathcona’s heritage. The Old Strathcona Foundation focuses its restoration and preservation efforts on the Strathcona area prior to the 1912 amalgamation with the City of Edmonton. The operating boundaries of the Foundation are from Saskatchewan Drive to 80th Avenue and 101 Street to 106 Street. The Old Strathcona Foundation is about restoring and preserving the past to be enjoyed today and by future generations. History is important as it allows future generations to understand where they came from and what it took to build the communities they enjoy today. The Old Strathcona Foundation isn’t only about the past it is about the future. Your membership in the Old Strathcona Foundation not only helps monetarily but it provides strength to our voice on issues which jeopardize the preservation of this important and vital community. In 1992 the Old Strathcona Foundation received the Heritage Award in acknowledgement of the work it does. The Foundation is a charitable non-profit volunteer organization that receives no funding from the City or other government agencies. All monies for projects are raised privately, either through donations, grants or fundraising activities. The Old Strathcona Foundation’s continued advocacy for historic resources is imperative if we are to preserve the past for the future. To sponsor, establish and administer a heritage conservation area within the boundaries of the Town of Strathcona as it existed prior to amalgamation with the City or Edmonton, honouring the citizens, preserving the buildings and relics and portraying the community of the era. To revitalize the community centre character of Old Strathcona to provide for the social and civic needs of the Old Strathcona Heritage Conservation Area. Streetscape improvements including brick sidewalks, oak benches, turn-of-the-century light poles, trees and banners. The Old Strathcona Foundation has accepted the challenge of taking on another millennium with dedication and commitment that will preserve the work of the past and pave the way for an exciting future, but we can’t do it without your help.